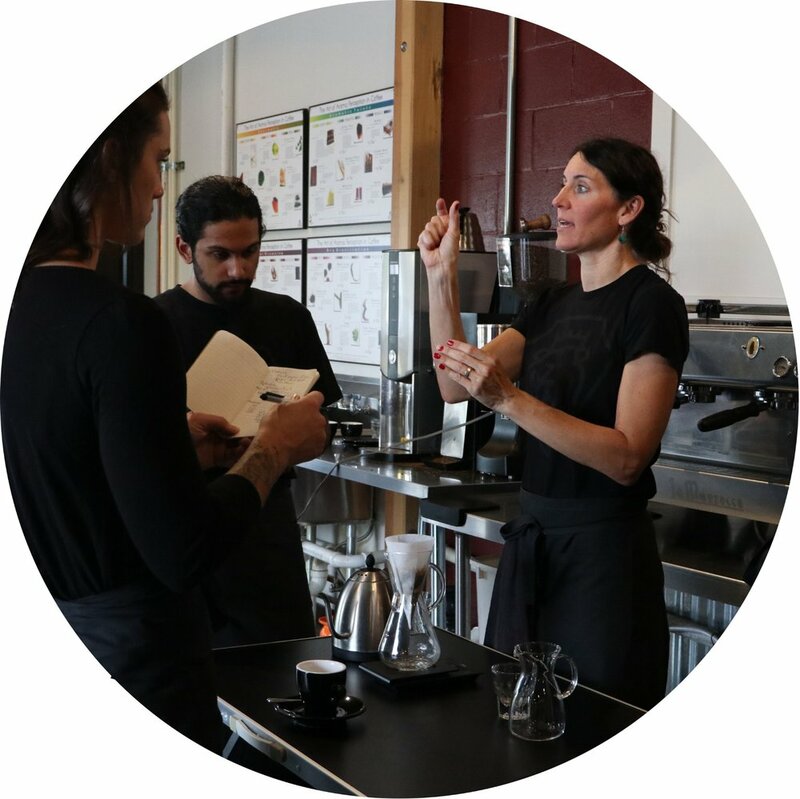 Beyond sourcing and roasting sustainable, organic coffee to its fullest potential and transforming it into beautiful, delicious coffee beverages, our team is full of talented individuals who make the Noble machine run smoothly. Meet the folks who create the magic and make Noble Coffee possible. Jared is our lovable, infectiously smiley CEO — the one who made Noble a reality. From humble beginnings in his garage to prosperous growth at the Coffeehouse in Ashland and beyond, Noble Coffee Roasting wouldn't exist without Jared's passion for coffee and all of the people involved along the way. Carolyn wears many hats around the Coffeehouse, and we don't know where we'd be without her endless dedication and lively spirit. Between writing schedules, working on finances, and supporting our staff, it's a surprise she has time for anything else. A joy to be around, a wonderful teacher, an open ear, a shoulder to lean on — Carolyn does it all with grace and passion. Dany is the cool and calm of our busy coffeehouse. She leads our team with endless patience and passion and makes sure everything is running smoothly - each little detail from inventory to staff development. Also a talented barista, Dany is a vital and adored person on our team. Maia is incredibly hard-working and extremely passionate about coffee. With years of experience in the coffee industry, we feel very lucky to have such a dedicated person to lead our Wholesale Department. She works with all our wholesale partners to make sure their coffee program and equipment are in the best possible shape. Kaitlyn is a rockstar roaster with amazing attention to detail and outstanding dedication to our company. Every week, Kaitlyn facilitates our production cuppings, tasting all of our roasts and working with our roasting team to get the most out of each and every bean. She is also in charge of maintaining our roasting equipment with a meticulous eye that keeps our roastery in tip-top shape. 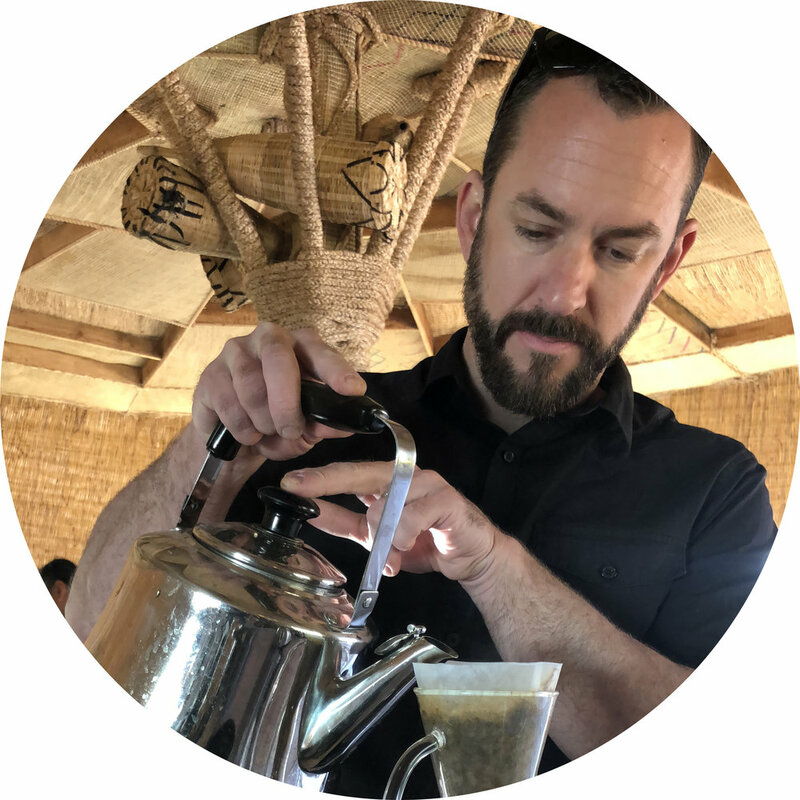 Jonah is a multi-talented staff member around here - from barista to roaster to his position as Marketing Manager, he’s got a distinct eye for visual beauty as well as impeccable intuition with all things coffee. He’s probably one of the most humble staff members you’ll ever meet and he leads our staff with integrity, efficiency and heart.